Collabora and ownCloud are well-known names in the open source world. Together they have come up with a VM that runs LibreOffice on ownCloud server. This essentially means you can view and edit presentations, spreadsheets and documents directly on ownCloud. The partnership has released the package as CODE (Collabora Online Development Edition). You can run it on VirtualBox. Users can share and edit documents using a public link. Thanks to LibreOffice’s rendering engine, the web and desktop versions have no interface or functionality differences at all. 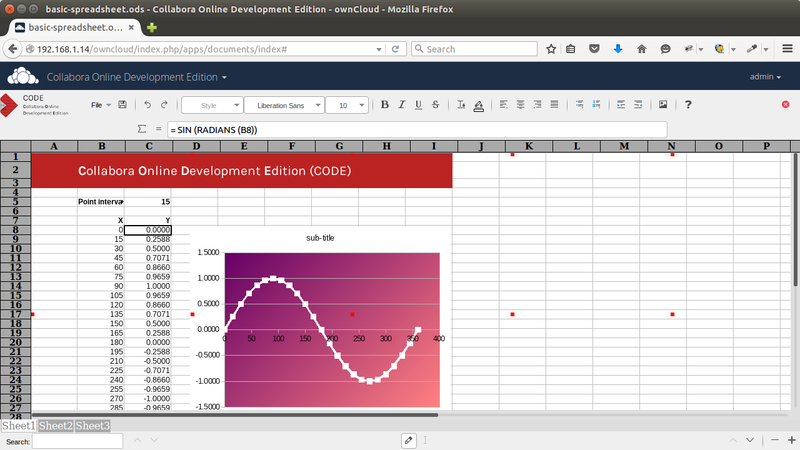 Note that rollApp already provides hosted version of LibreOffice. However, ownCloud is self-hosted. You can download your copy of CODE and start your self-hosted version of LibreOffice enabled ownCloud in no time.